✿Pop-up with Touch Control Design,cool and convenient to use. ✿USB 3.0 CD drive provide faster data transfer speed, up to 5Gbps. ✿Ultra Slim and Light Weight,Classic Appearance Designed. "Valoin " backs customer 30 days replacement or refund, 12-Month worry-free warranty for manufacture defects and lifetime technical support. If you have any quality issue, please feel free to contact us, we will take seriously to deal with your problem. 【Designed with Portability】It featuring super slim, high quality,full performace,stable and high reading&writing speed.This USB 3.0 DVD driver is a perfect companion for computers without the internal drive. 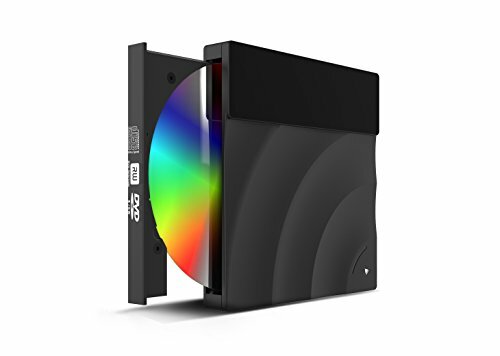 【Multi-function DVD Drive】Powerful error corection function,shockproof,low noise,horizontal and vertical manipulation.It allows you to listen to music/watch DVD movies with no lag,burn files,install software and create a backup CD and so on. If you have any questions about this product by Valoin, contact us by completing and submitting the form below. If you are looking for a specif part number, please include it with your message.